This magnificent luxurious villa is located in the sought after area of Santa Ponsa a few minutes from the elegant marina of Port Adriano and the golf courses. 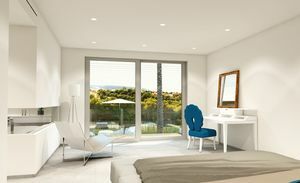 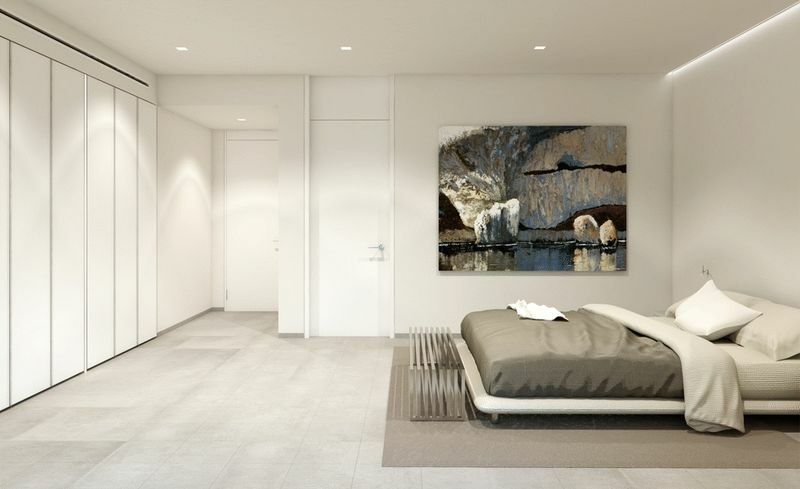 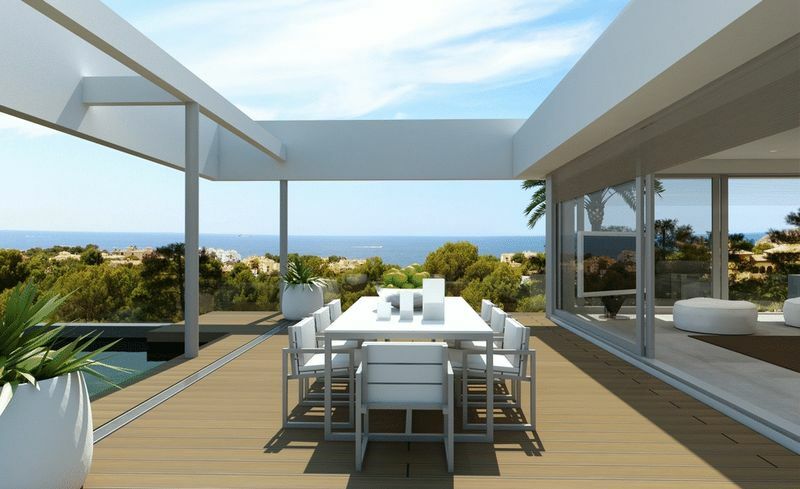 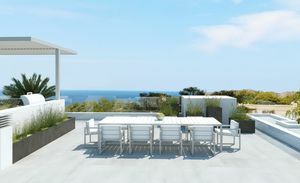 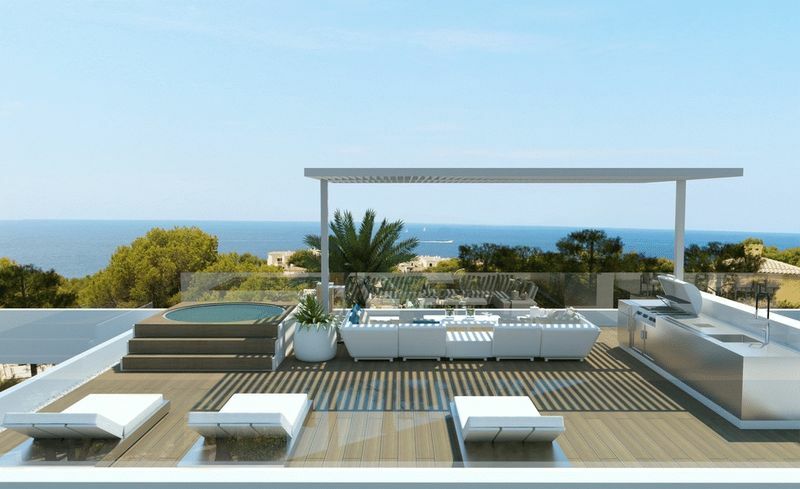 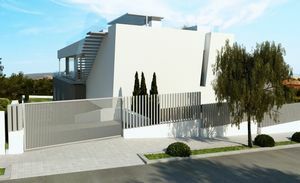 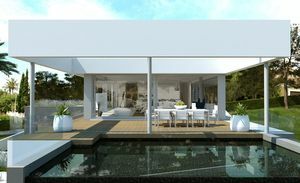 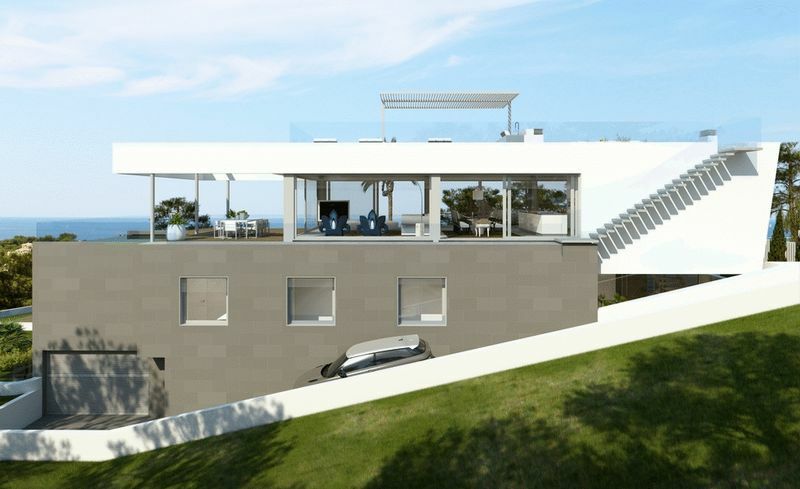 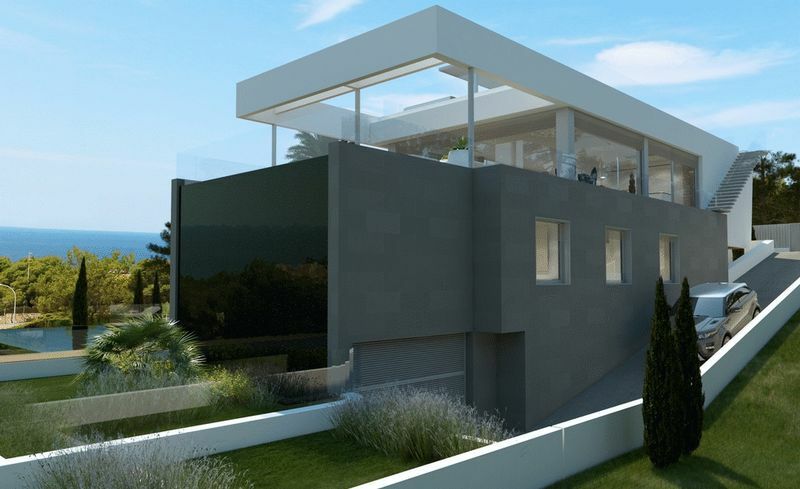 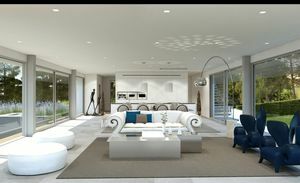 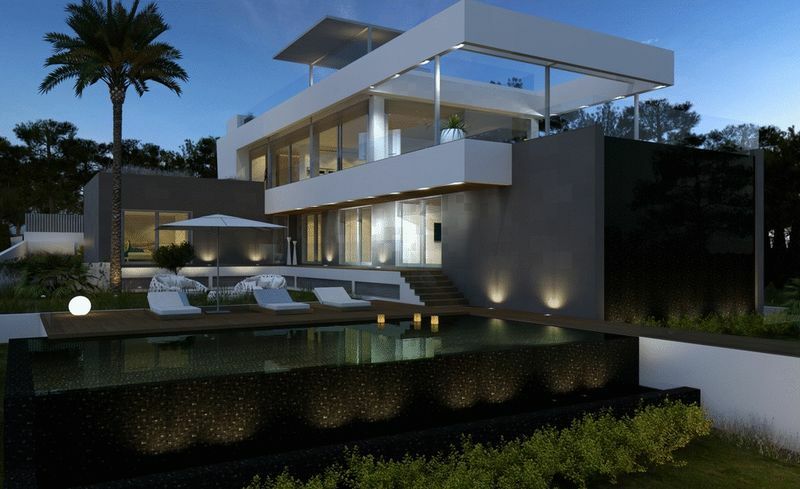 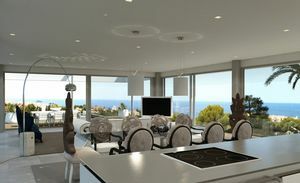 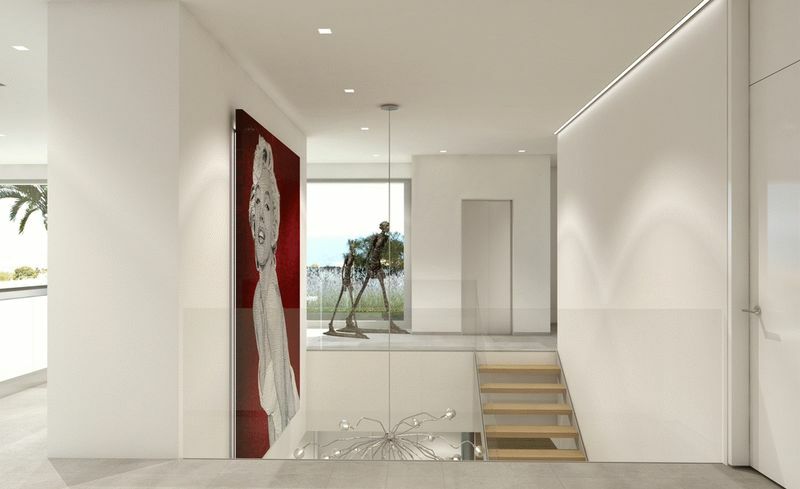 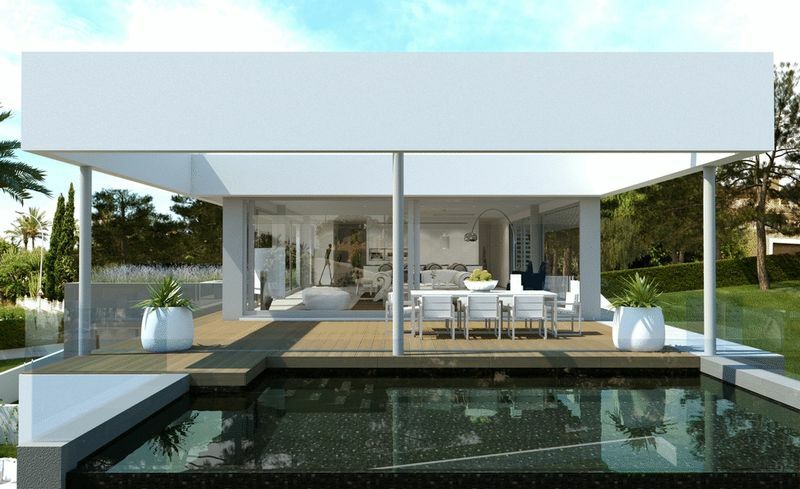 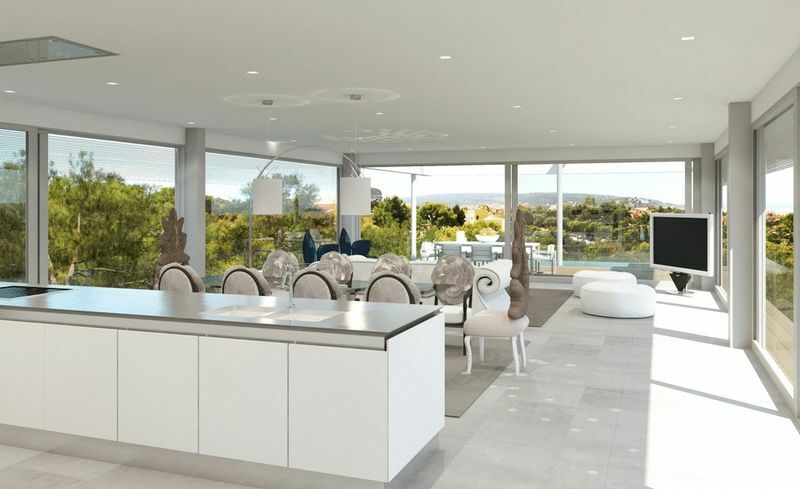 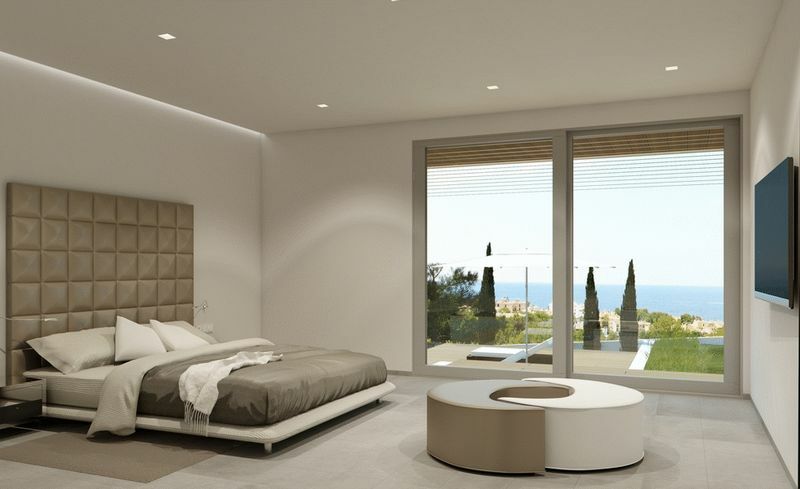 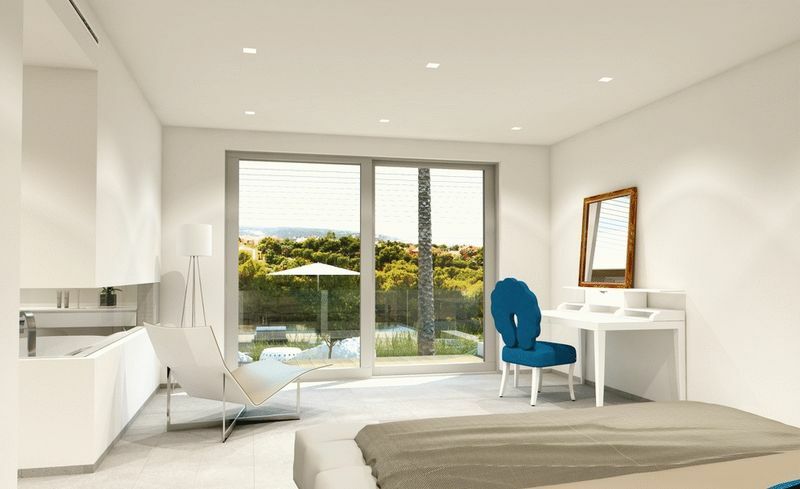 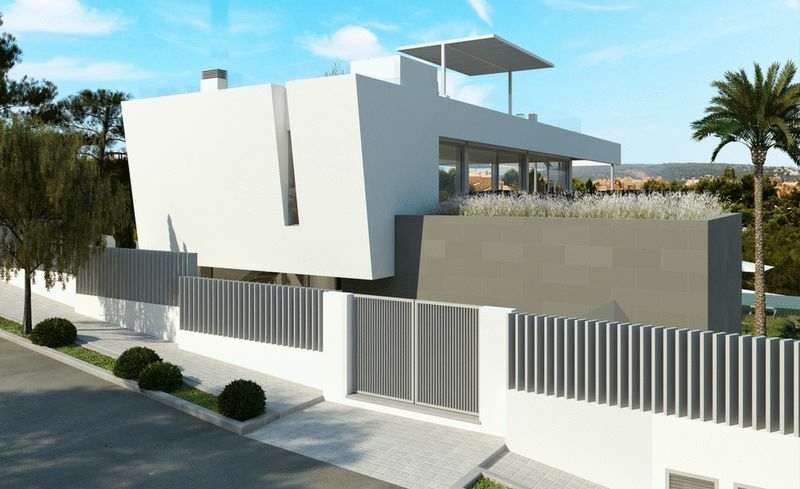 This new modern sea view villa on a 1.400m2 plot and has a constructed area of 777m2 including several terraces. 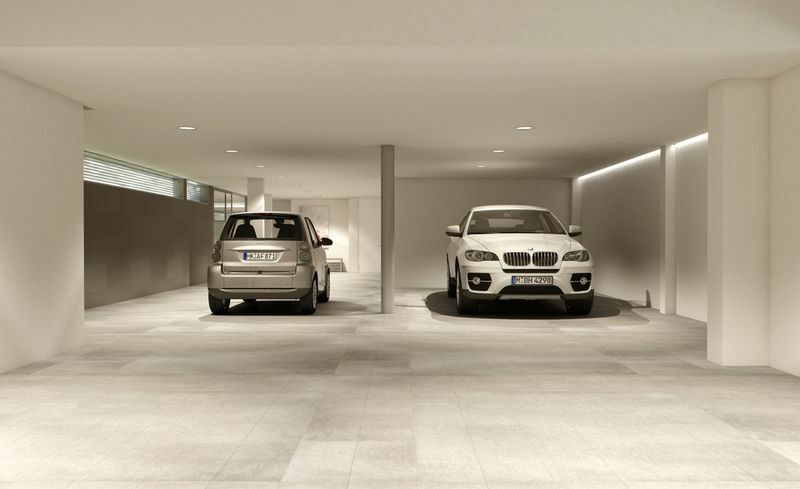 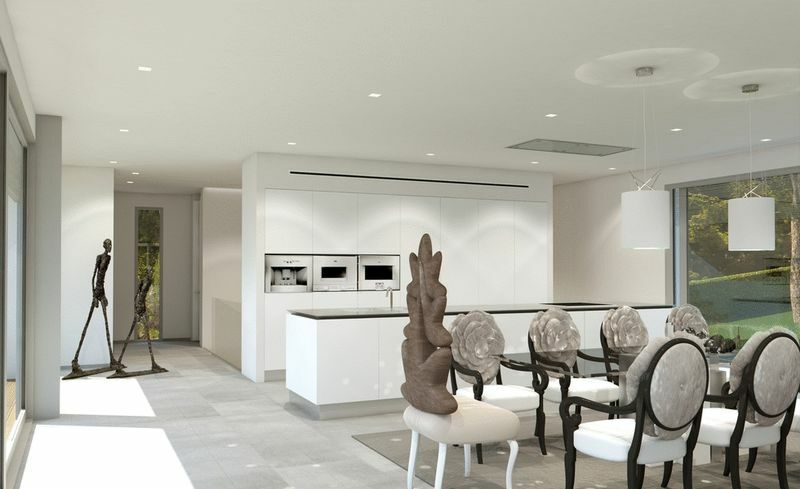 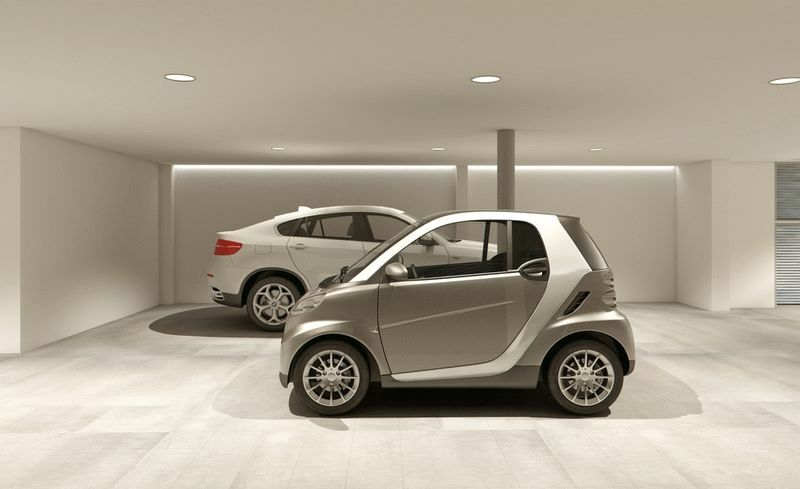 The underground garage offers parking for 5 vehicles and has a lift to go through to the main living level of the house. As an alternative the layout could instead be changed to 3 parking spaces and a guest apartment with two bedrooms with a bath, living room and a kitchen. 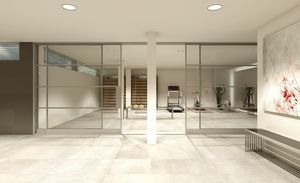 The laundry room is also on this level. 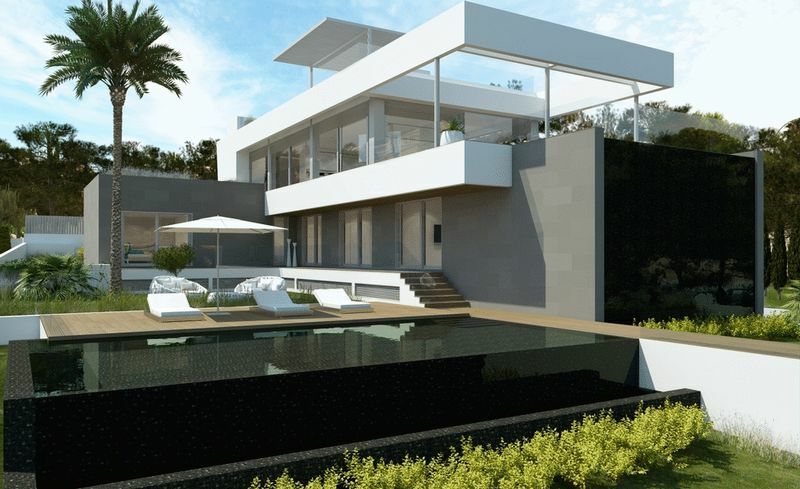 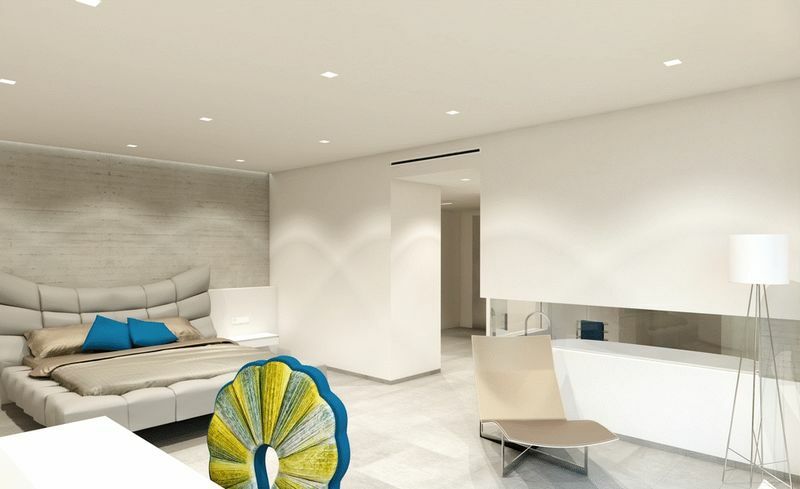 The upper floor comprises of 4 bedroom suites, all with direct access to one of the two pools and the garden. 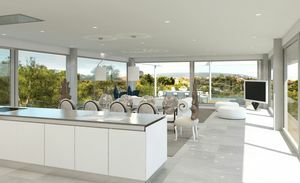 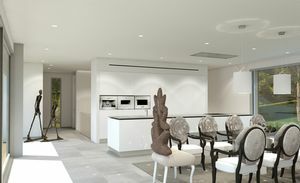 The living/dining area with high ceilings, luxury kitchen and an open light-flooded design is situated in the first floor, adjoining an open sea view terrace with the second swimming pool. 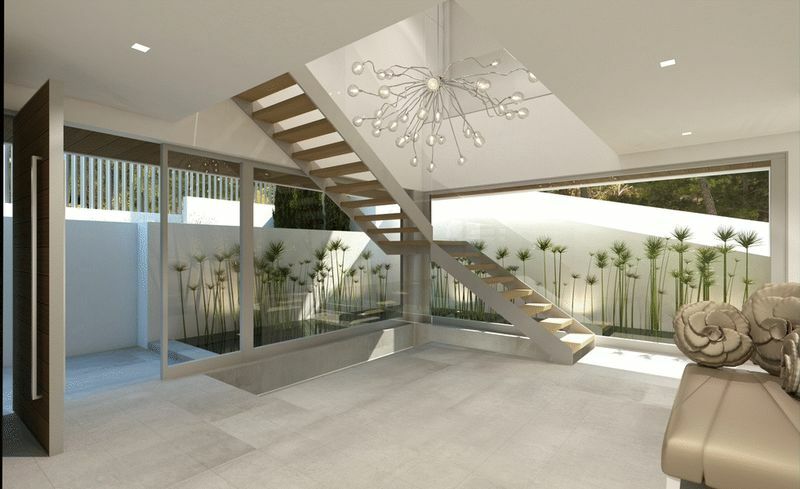 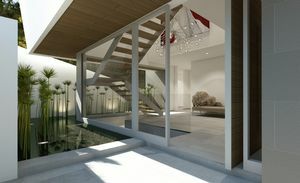 A staircase leads up to the roof terrace with outside kitchen and partly covered lounge area with a Jacuzzi. 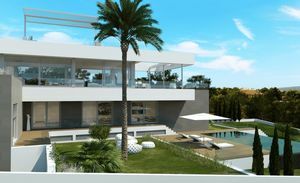 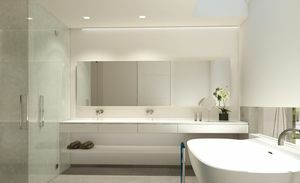 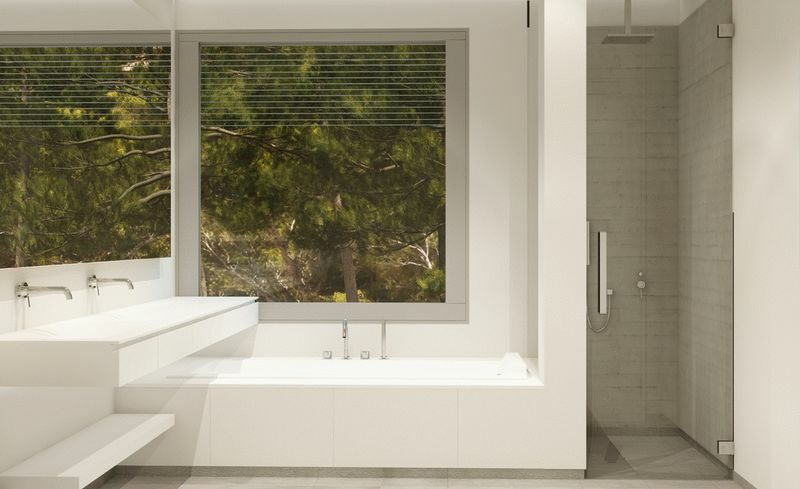 Additional features include underfloor heating via a heat pump, solar system, thermal glazing, fully automatic roller shutters, fitted kitchen, desinger bathroom furniture, decking around the pool area and on the terraces, house controlled by iPad. 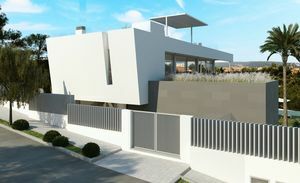 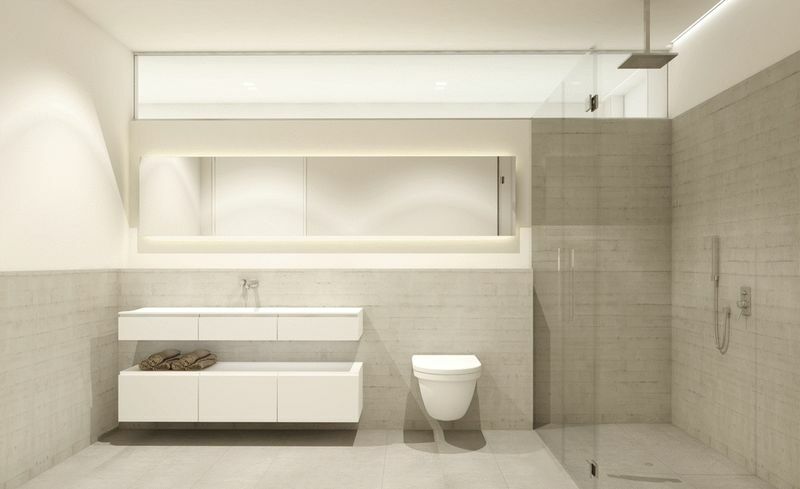 This project is under construction and is expected to be completed in 2016.